The Muttart Conservatory is the proud home for two permanent pieces from the City of Edmonton Public Art Collection. 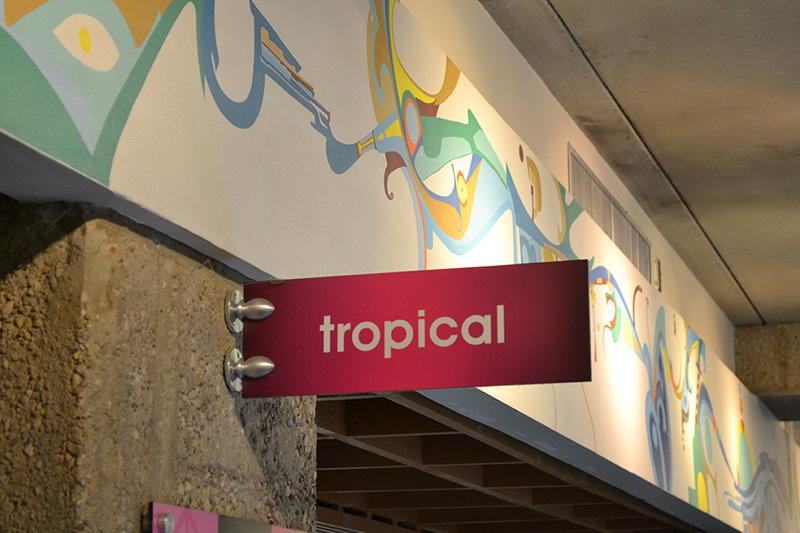 These pieces add vibrancy to the facility and can be enjoyed by visitors from near and far. 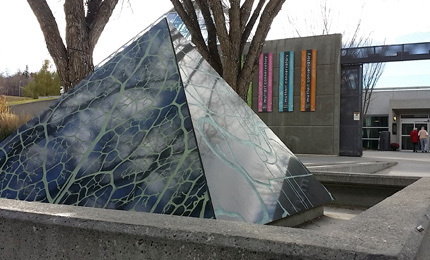 The City of Edmonton Public Art Collection is a collection of artwork the City has acquired in various ways: some may have commemorated a special event and some may have been gifts to the City. Much of the artwork acquired in recent years has been generated by the City’s Percent for Art to Provide and Encourage Art in Public Areas Policy. For more information, please visit the Edmonton Art Council website. 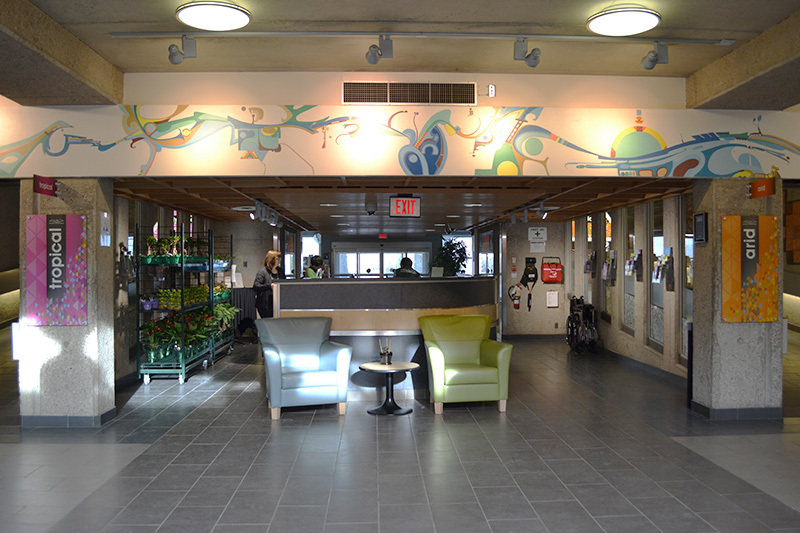 The mural that surrounds the Centre Court area of the Muttart Conservatory, completed in 1976, was painted by the well­-known Alberta Chipewyan artist, Alex Janvier. Janvier completed his formal fine arts training at the Alberta College of Arts in Calgary in 1960. 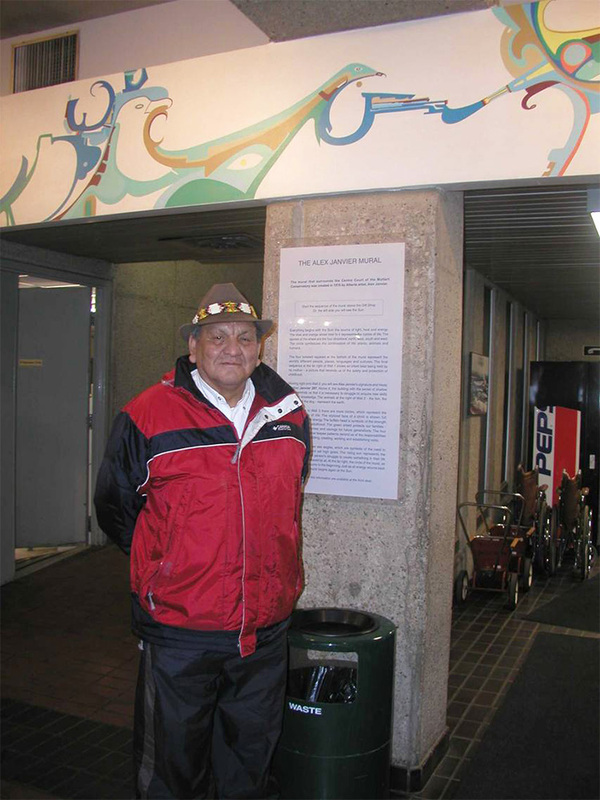 He first gained international recognition when he was commissioned to paint a nine foot mural for the Native Indian Pavilion at Expo ’67 in Montreal. Janvier’s works are at once a departure from the traditional and a return to Aboriginal culture. He paints in an abstract and highly symbolic style that shows the traditions of his culture. Find more information about this piece on the Edmonton Arts Council website. 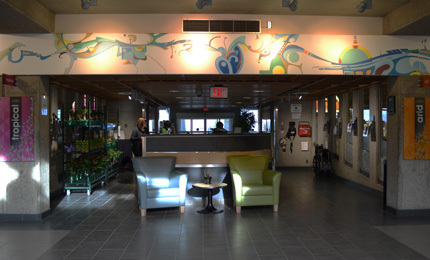 During facility renovations in 2008/2009, the front entry of Muttart Conservatory was updated and modified. 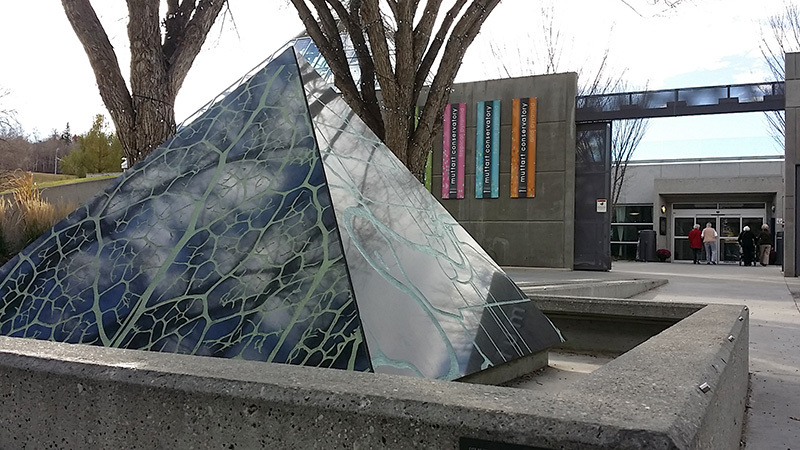 Mia Weinberg was commissioned to create a black granite pyramid to mark the occasion. 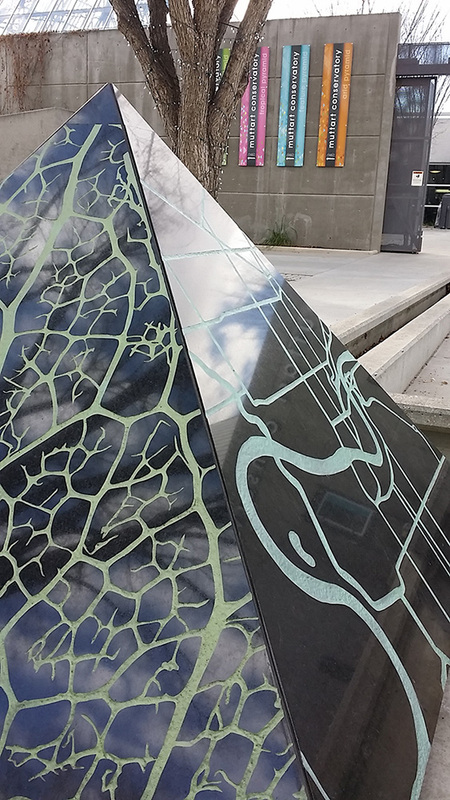 This piece can be found just outside of the main gates to the Conservatory and continues to draw guests to the beauty inside the glass pyramids.